The essays were submitted to and marked by Dave Lowe, the Director of Studies at Brisbane. Soon after the announcement of an essay-writing competition, Dave received lots of essays written in English by international students. Most of the entrants had studied at the campus on Ann St and some students who entered had just arrived. 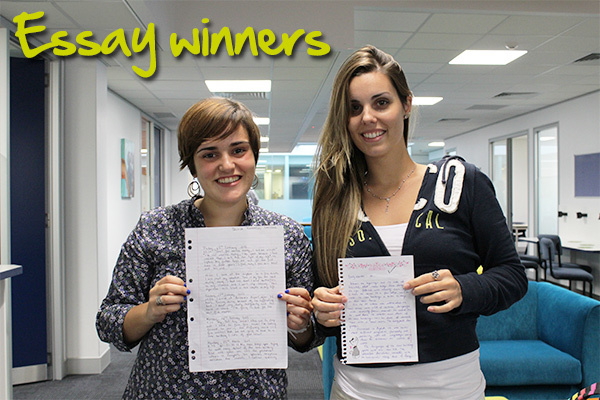 After a few days of sifting through the essays submitted, Dave chose the winners and awarded them with prizes! 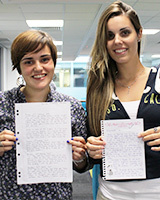 The winners were Emily Mendes and Silvia Barragues Santidrian. Big Toblerone chocolates were given to the runners-up Selina Gabriel, Luz Ayda Palacio, Sueli Cocqueiro, Danae Valterio, Himari Nakajima and Marcella Lima da Costa. It was great to read about the fantastic feedback students have about the new building and it was even better to see it written in English!